Audits can bring to light important issues in manufacturing and quality processes that need to be addressed. However, corrective actions, implementation, and training that result from audits can be costly and time consuming. J.A. King has tremendous experience working with customers before, during, and after audits. 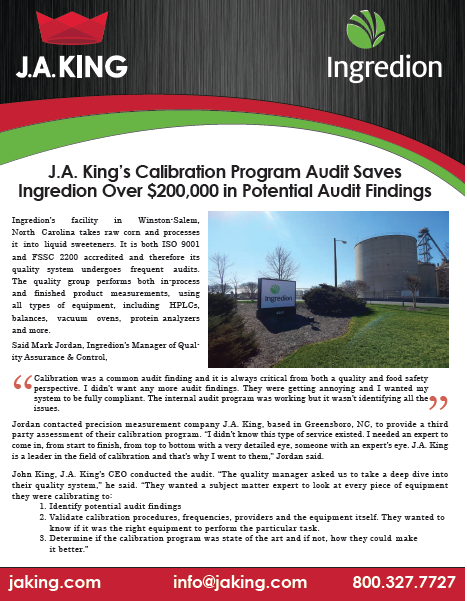 Our latest case study reveals how a calibration program audit helped one customer eliminate 14 potential audit findings! In order to continuously improve our world class customer service and technical expertise, we are excited to announce our new dedicated technical support team! The first member of which is Dennis Lynch, our Scale Technical Support Specialist. Dennis has over 35 years of hands on experience in all types of weighing applications across a variety of industries. Whether you have lab balances, counting scales, or a truck scale- Dennis has installed, calibrated, or repaired it. We encourage you to contact Dennis directly at 405.464.9269 or via email at [email protected] if you have a technical question or need quick help with your weighing equipment. How Do Your Tank and Hopper Scales Measure Up? Achieving accurate weighing with tank and hopper scales can be challenging and expensive. However, routine calibration is necessary to ensure accurate, repeatable performance and protect your bottom line. 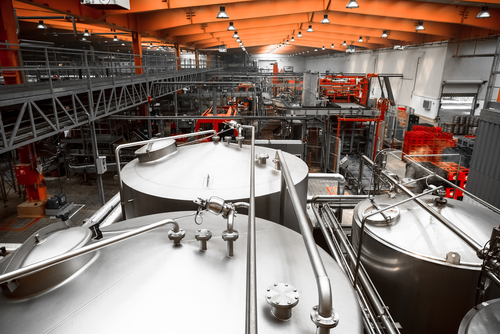 We have a tremendous amount of experience installing and calibrating both tank and hopper systems, and have identified the top 10 factors to evaluate to ensure optimal performance and calibration. Click here to read the Top 10 List.